When we refer to a platform, we are simply referring to an eCommerce software or website that allows you to sell things online. Shopify is a platform. Etsy is platform. Different platforms offer different things. Some platforms have marketplaces already established where you can sell your goods. Some platforms will allow you to have your own stand alone website. Some platforms will take a percentage of your sales, and some charge flat rates. Some platforms allow a lot of design freedom, and some are confined. 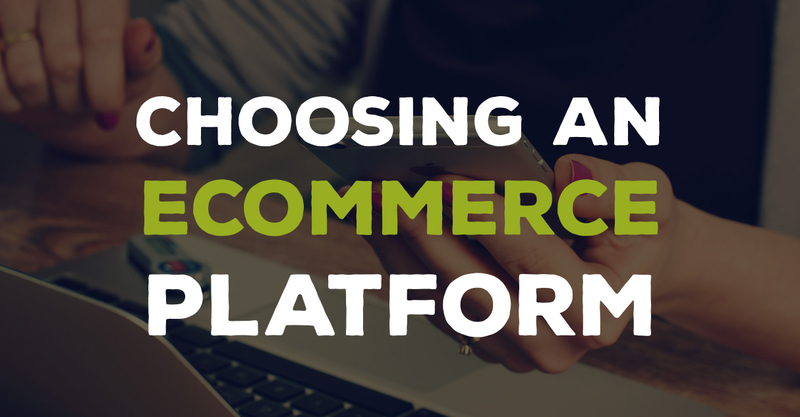 There is a lot to consider when choosing the platform that is right for you and your brand. With all the options available to you, we understand it can be overwhelming when trying to decide which platform to use to start your online shop. That's why we created this no nonsense guide to help you chose the platform that is right for you. We hope this breakdown helps to simplify your decision. Shopify is one of the most popular platforms among our members. The setup is easy, integrating with Print Aura is easy, and they offer some beautiful shop templates that make it easy to get your shop up and running in no time! Etsy offers a well established marketplace for your products for people to search through to find your products. However, they do require an outside manufacturing approval that is notoriously esoteric. Not to say you won't get approved, but the terms of the approval are still very convoluted. Most of our members do get approved, but for some reason there are a handful that get turned down. This eCommerce platform is very popular across the web. You will need to host your own website, but you are allowed a lot of customization control. WooCommerce is a great pairing for wordpress websites and freature many free and paid themes and plugins. Storeveny features a marketplace similar to etsy. However, unlike etsy, you also have the option to open a store and sell your items on your own. They also offer easy to customize themes. OpenCart is a free open source eCommerce platform. OpenCart offers free and paid shop themes and other resources to help you get your shop off the ground. BigCommerce offers a free trail of their platform which can be great to use just to poke around and see what they are about. You will need to host your own store website, but they do offer over 100 themes to make designing a store easy. Is there a platform we don't offer an integration for that you'd like to see? Let us know! We know choosing a platform can be intimidating and we hope this break down helped clear things up for you. If you have an further questions of comments, please feel free to ask! We are here for each and every one of you.